On June 23 the British will vote to decide whether to stay in or exit the European Union (EU). Dubbed the "Brexit", this risk has investors worldwide on pins and needles, because the vote at this point seems to be literally a coin toss. The press indicates the tide has shifted from "definitely stay in" to "maybe get out" in recent months for a variety of reasons but one central to the issue believe it or not is around immigration. The open border concept of the EU monetary system has some in the UK saying it is time to get control of the borders. This sentiment has translated into the Brexit issue as well. No matter your political leanings, the potential impact worldwide of such an event could be a big one. After all, global economies are so intertwined that virtually everyone would be affected. For his part, Prime Minister Cameron says a vote to exit would amount to "trashing the economy." A host of others say a disaster awaits the yes vote that would result in thousands and thousands of company layoffs and lower income. Back here in the states, we don't mind seceding from things now and again historically speaking, but this time many US CEOs are worried. That is because the FFIEC indicates some 90% of American banks' foreign exposures are to English corporations and English banks. The biggest US financial institutions (Goldman, Morgan Stanley, Citigroup, JPMorgan, Bank of America, etc.) all have subsidiaries in London and business there is brisk. These companies use their British addresses as the springboard for business throughout Europe. Further, according to our own Census Bureau, the UK stands as the 7th largest overall trading partner for the USA, so disruption in that relationship could have spillover problems for us. Consider as well that foreign exchange activity in the UK is huge. The data shows it is about 36% of all activity, while trading in the US ranks about 18% and Japan follows at 6% or so, rounding out the top three. Should the Brits choose the Brexit, one has to wonder if that would be good or bad for the US. Would London-based Americans still be able to provide services in Continental Europe? Would their bonds and equities trading activities still be accepted? Additionally, American companies based in London could see big trouble among the potential rubble of a yes vote. If HSBC, Barclay's, Royal Bank of Scotland and others encountered obstacles in Europe, would they ask their American subsidiaries for help? That's a possibility and it has regulators on edge as well. 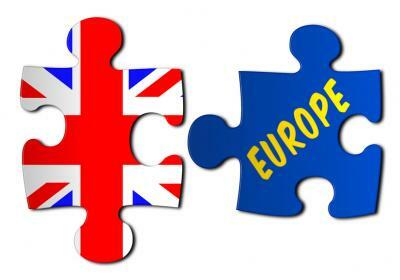 Regulators from both sides in England and Europe would of course negotiate alternative agreements to go on with their business, but it could be a long and complex process that lasts for years and leads to turmoil and uncertainty. This could lead companies to defer their investment decisions, delay private equity deals, freeze hiring and other things as they wait for the dust to settle. That is indeed a dark scenario and some say it could make the Lehman failure look like peanuts. Things are so worrisome that credit rating agency Moody's told the Brits to put down their pinky and stop sipping tea, as it sternly predicted that it could see lowering the credit rating of England if the yes vote occurs. Stranger still, if the Brits vote to exit, Cameron would then have to notify the EU of that intention. This would then trigger the Lisbon Treaty (governs the right to leave the EU) and begin a 2Y negotiating process to work out exactly how that would occur. This is ongoing uncertainty and that is not good for US banks. We will all know in a few weeks, but in the meantime general and high level preparation is just a good idea for US banks. Yields dropped 2bp as global uncertainty continued to weigh on US markets. 1) United Fidelity Bank, fsb ($386mm, IN) will acquire Bank of St. Croix, Inc. ($148mm, VI) for an undisclosed sum. 2) Wayland State Bank ($88mm, IA) will acquire Peoples State Bank ($29mm, IA) for an undisclosed sum. 3) Bank of Montreal ($681B, Canada) will acquire boutique investment banking advisory firm Greene Holcomb Fisher (MN) for an undisclosed sum. 4) Optum Bank, Inc. ($5.0B, UT) will acquire the health savings account business line from Wells Fargo Bank. Optum is a subsidiary of UnitedHealth Group Inc. 5) Prudential Savings Bank ($537mm, PA) will acquire Polonia Bank ($288mm, PA) for about $38.1mm in cash (50%) and stock (50%) or roughly 1.01x tangible book. 6) Summit Community Bank, Inc. ($1.5B, WV) will acquire First Century Bank, Inc. ($410mm, WV) for about $42.8mm in cash (35%) and stock (65%). SunPac Financial (CA) and Security First Bank ($112mm, CA) have mutually agreed to call off their merger announced in Feb of 2015. High levels of market volatility have put a damper on bank stocks, pushing them down to sharply lower levels. This decline will reduce M&A activity, as buyers lose currency and sellers have less interest in stock based deals. FDIC Chair Gruenberg said rising interest rates are likely to expose community banks to additional risk given the increased percentage of longer term assets banks now hold. As such, Gruenberg said the FDIC is actively monitoring exposures at community banks related to potential interest rate risk.